Of over 200 branding and marketing professionals, 47% consider Gucci’s recent packaging initiative a reflection of the luxury industry’s future. The survey found that the other 26% felt it was not indicative and the fad would pass. The survey was conducted by easyFairs who organized Packaging Innovations London 2012 and hosted a Luxury Packaging section at the event. Participants in the survey were also asked to name a Luxury brand that they felt was the smartest at packaging. Apple received the most mentions and due to the recent packaging initiative, Gucci was named second most. The newly designed luxury packaging has undergone a major transformation. According to the press release, the bags, boxes, and tissue paper no longer have plastic laminate surfaces (not uncommon in luxury packaging); ribbon and garment bags have been switched from polyester to cotton; and the bags provide transparency and read: “This shopping bag is FSC certified and made of 100% recyclable material”. This brought up the suggestion of the ‘green’ trend in the luxury market. 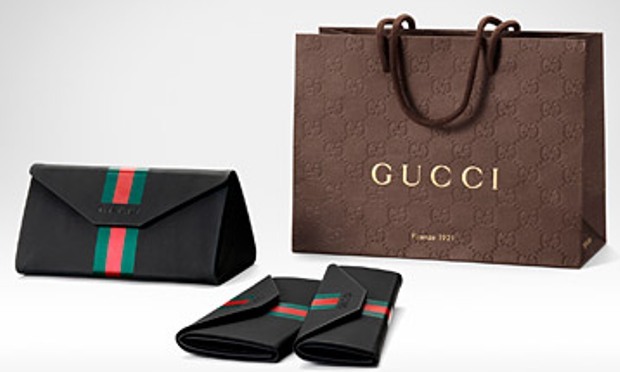 While it was a major change for Gucci to reduce their use of paper in packaging, other luxury brands such as Prada and Versace have also made the commitment.